Fonda Jo has been working with skincare products since the early 1970’s, carrying quality products and in recent years, pharmaceutical grade skincare products. She thoroughly researches and studies the products she carries in order to bring her clients what she believes to be the very best products available. Fonda Jo teaches her clients how to take care of their skin and she can address any skincare problem a client may encounter at any time in their lives, whether it be dealing with teenage acne or “aging smartly” in later years. The products she promotes allow her to help her clients look their best. As a licensed skin care therapist, Fonda Jo regularly attends workshops and seminars, learning how to better care for specific skin conditions. Her expertise is in treating acne, whether teen or adult, where correcting (not covering) is the goal. She is a certified Face Reality Acne Specialist. 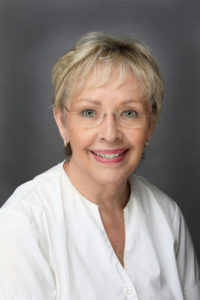 Fonda Jo is continually refining and improving her techniques and procedures as new products and protocols arrive on the market and as new techniques and information become available. Her strong commitment to educating herself and her clients remains a priority in her practice. Contact Fonda Jo to learn how you can have both healthy and beautiful skin.